James died on 1 March 1913, but three years prior in the 1910 census Mary was living with her son Thomas and indicated she was widowed, so she must have divorced him prior to 1910. [1910 United States Census, District 23, DeKalb County, Tennessee.] In the 1920 census the 75-year-old Mary is listed as married to a 71-year-old James Vanatta, who was presumably a brother to her first husband Littleton. [1920 United States Census, District 5, DeKalb County, Tennessee.] James was born in January 1846 and is the younger brother of Mary’s first husband, Littleton Vanatta. The Vanatta men were children of Jehu “Jake” Vanatta (c. 1816 – 1900) and Dorcas Sandlin (c. 1817 – c. 1885). Jehu’s family lived in DeKalb County, Tennessee, in the 1850 and 1860 census, then in Jefferson County, Illinois, in the 1870 and 1880 census. At least two of their younger sons stayed in Jefferson County, married, and had families and are buried there. Mary died on 2 February 1921 in Smithville, Tennessee, and James died there on 6 July 1923. Samuel Daniel Vanatta was born on 24 June 1863. On 9 August 1883 he married Isabelle Thomas (1866-1918) on 9 August 1883 in DeKalb County, Tennessee. After Isabelle’s death he married in about 1919 to Luella B. Pruitt (1875-1943), the widow of Ben G. Peach (1874-1916). Samuel died on 10 June 1928 in Smith County, Tennessee. Sarah T. Vanatta was born in December 1887 in Dekalb County, Tennessee, and living in Nashville as of the 1910 census. James Thompson Vanatta was born on 4 June 1864 in DeKalb County, Tennessee, and married Mary Adaline Thomas (1968 – 1946) on 18 December 1883 in DeKalb County, Tennessee. James died on 21 October 1944 in Alexandria, Tennessee. Catherine Vanatta was born in September 1888 in DeKalb County, Tennessee, and single, living with her parents as of 1910 census. Maggie Vanatta was born on 5 February 1891 in DeKalb County, Tennessee. She married first to William Jefferson “Jeff” Fitts (1881 – after 1920) on 19 March 1907 in DeKalb County, Tennessee. She married second to William Chapman (1874 – 1955) on 14 March 1936 in Smith County, Tennessee. Maggie died on 29 September 1953 in Lebanon, Tennessee. Alton Vanatta Fitts was born on 15 March 1907 in DeKalb County, Tennessee, and died on 27 August 1925 in DeKalb County from appendicitis. Homer Fitts was born on 5 February 1912 in DeKalb County, Tennessee. He married Bessie Parkerson (1919 – 2002) on 22 December 1937 in DeKalb County and had a daughter, Mary Fitts (born in 1939). Homer died in January 1966. Ruby Gordon Fitts (a male) was born on 5 February 1917 in DeKalb County, Tennessee. He married Alta I. Washer (1921 – 2011) on 7 March 1936 in DeKalb County. They had several children including James T. Fitts (1938 – 1995). Ruby died on 19 April 1967 in Tennessee. Thomas William Fitts was born on 2 November 1919 in DeKalb County, Tennessee. He married Dorothy Dalton Payne (1921 – 1999) on 14 March 1936 in DeKalb County. They had two children, Maggie Fitts (born in about 1937) and James “Jimmie” Fitts (born in about 1939). Thomas died on 30 April 1991 in DeKalb County. Columbus Vanatta was born on 8 March 1893 in DeKalb County, Tennessee, and died on 19 May 1904 in DeKalb County. Fannie Vanatta was born in September 1896 in DeKalb County, Tennessee, and was single living with her parents as of 1910 census. Nettie Vanatta wsa born in October 1898 in DeKalb County, Tennessee, as of 1930 census single and living in Nashville working as shipping clerk in a printing house. She may have married Mr. Summitt by 1944 because her father’s death certificate lists the informant as Mrs. Nettie Summitt of R3 Nashville. Martha Lillian Vanatta was born on 24 January 1902 in DeKalb County, Tennessee. She married first to Joe Nathan Cooksey (1903-1986) on 5 August 1923 in Wilson County, Tennessee. She married second to Mr. Cantrell by 1943 when she signed her name as Martha Lillian Cantrell on her delayed birth certificate. Martha married third to Mr. Edwards as there is a Social Security record for Martha Edwards, born on 24 January 1902 who died in Nashville, Tennessee, in February 1977. Joe Thomas Cooksey was born on 20 October 1926 in Wilson County, Tennessee, and died on 14 March 1971. He is buried with his father. Herman Vanatta was born on 7 November 1907 in DeKalb County, Tennessee. He married Retta V. Leftwich (1912-1987) on 16 June 1934 in Warren County, Tennessee. Herman died on 18 March 1970 in Westland, Michigan. Jehu Vanatta (“Johnie”) was born on 20 June 1865 in DeKalb County, Tennessee. He married Jane Blythe (1870-1953) on 31 January 1888 in DeKalb County. Johnie died on 28 September 1929 in Nashville, Tennessee. Charles Monroe Vanatta was born on 13 April 1890 in DeKalb County, Tennesee. He served as a corporal in the U.S. Army in World War I. 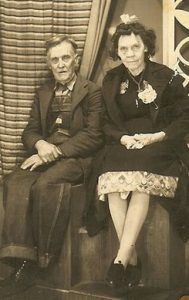 He married Myrtle Davis Waldron (1909-1989) on 26 November 1924 in Cannon County, Tennessee, and divorced in about 1932. Charles died on 3 March 1949 and is buried in Nashville National Cemetery. Charles Monroe Vanatta Jr. was born on 16 April 1928 in Nashville, Tennessee, and died in June 1978 in Murfreesboro, Tennessee. Virgil Carroll Vanatta was born on 24 July 1931 in Nashville, Tennessee, and died on 18 November 1998 in Bibb County, Georgia. Nola Vanatta was born in February 1891 in DeKalb County, Tennessee, and living in Nashville, Tennessee, as of the 1940 census. She married William B. Johnson on 24 December 1909 in DeKalb County. William Clarence Johnson was born in about 1915 in Nashville, Tennessee, and living a single man with his parents in 1940. Bessie Johnson was born in 1918 in Nashville, Tennessee. She probably married to an unknown person before the 1940 census. Margaret “Maggie” Johnson was born in about 1923 in Nashville, Tennessee, and living with parents as of 1940 census. Walter Johnson was born in about 1934 in Nashville, Tennessee. Maggie Ana Vanatta was born on 8 September 1894 in DeKalb County, Tennessee. She married Enoch Walker (1896-1959) on 22 August 1912 in Wilson County, Tennessee. Maggie died of tuberculosis on 14 August 1916 in Smith County, Tennessee. They had no living children at her death. Robert “Bobbie” Vanatta was born in February 1896 in DeKalb County, Tennessee, and died after the 1910 census. James Oscar Vanatta was born on 19 January 1898 in DeKalb County, Tennessee. He married Hattie M. Davis in about 1917. James died on 22 December 1955 in Nashville, Tennessee. Robert Edward Vanatta was born on 21 September 1917 in Davidson County, Tennessee, and died on 18 October 1935 when he was struck by a car in Nashville, Tennessee. He had recently married a woman named Ruby. Elmer Lee Vanatta was born on 1 February 1921 in Nashville, Tennessee. He married Jackie Aileen Duke in about 1939 and some of their children are listed below. Elmer died on 21 October 2001 in Nashville. Jackie L. Vanatta was born on 11 May 1940 in Nashville, Tennessee, and died on 19 April 1992. Herbert Eugene Vanatta was born on 23 December 1941 in Nashville, Tennessee, and died on 3 May 2005 in Nashville. George Alan Vanatta was born on 27 April 1944 in Nashville, Davidson Co, TN and died Feb 7, 1988 in Nashville. Eva May Vanatta was born on 9 March 1946 and died Sep 28, 1946 in Nashville, Tennessee. Willie Vanatta (a female) was born in about 1923 in Nashville, Tennessee. She married Archie Knox in about 1939. Louise Vanatta was born in about 1926 in Nashville, Tennessee. Christine Vanatta was born in about 1928 in Nashville, Tennessee. Lorene Vanatta was born on 1 May 1931 in Nashville, Tennessee. She married Julian P. Sandoval (1930-1999) in about 1953. Lorene died on 9 November 1986 in Los Angeles, California. Margaret M. Vanatta was born in about 1934 in Nashville, Tennessee. Mary E. Vanatta was born in about 1935 in Nashville, Tennessee. Arthur Jefferson Vanatta was born on 19 November 1906 in Brush Creek, Tennessee, and married Nettie Lee Stembridge (1911-2000) in about 1930. Arthur died in August 1983 in Davidson County, Tennessee. Fred James Vanatta was born on 22 July 1930 in Davidson County, Tennessee. He served in the U.S. Air Force as A2C in Korea from December 1951 to January 1954. Fred died on 4 August 2005 in Whites Creek, Tennessee. Letie Vanatta was born in about 1909 in Smith County, Tennessee, and living with parents as of the 1910 census. Mary Elizabeth Vanatta was born on 9 July 1874. She married on 13 June 1895 to Smith A. Bain. [Smith Bain was born on 30 June 1861 to Larkin Bain (1829-1900) and Maurine Catrell (1825-1900).] They resided in Smithville, Tennessee, and all of their children were born there. Smith died on 10 June 1945 in Smithville and Mary died on 27 April 1958 in McMinnville, Tennessee. Charles Edgar Bain (“Charlie”) was born on 28 March 1896. On 5 February 1919 he married Ethel Lee Tittsworth (1899-1959). All of their children were born in Smithville, Tennessee. Charlie died on 13 February 1969. Charline Bain was born on 12 November 1925. On 31 May 1941 she maried Nealy Milburn Scott (1919-1997). Charline worked as a homemaker and was a member of Elizabeth Chapel Baptist Church. Charline died on 13 October 2007. Edwenia Bain was born in 1927. She married Robert Ray Scott (1922-1990), probably after his U.S. Army service in World War II from September 1942 to December 1945. Dorris Lee Bain was born on 19 May 1928 in DeKalb County, Tennessee. He served in the U.S. Army from September 1950 to August 1952. He married first to Nina Rose Puckett (1929-2014) on 17 October 1952 in DeKalb County and second to a woman named Barbara (1937-2006) on 18 May 1972. Dorris died on 12 July 1994 in Nashville, Tennessee. Lois Mason Bain was born on 20 September 1929 in DeKalb County, Tennessee. She married Dewey Leon Alexander (1928-1983) on 28 July 1949 in Davidson County, Tennessee. Lois died on 18 October 2000 in Hermitage, Tennessee. Jack Smith Bain was born on 8 September 1931 in DeKalb County, Tennessee. He married Frances Irene Self (1935-2008) on 3 April 1954 in DeKalb County. Jack died on 14 December 1992 in McMinnville, Tennessee. John Thomas “Tommie” Bain was born on 3 May 1935 in DeKalb County, Tennessee. He married Faye Jones on 23 August 1958 in Warren County, Tennessee. Tommie died on 11 September 1991 in McMinnville, Tennessee. Sarah Jane Bain was born on 25 July 1897. She married on 15 July 1917 to Herbert Clarence Webb (1894-1948) and they had eight children together. Sarah died on 17 March 1976. Christine L. Webb was born on 28 September 1918 in DeKalb County, Tennessee. She married George Austin Magness (1918-1963) on 26 April 1941 in DeKalb County. Christine died on 16 February 1999 in DeKalb County. Thelma Irene Webb was born on 8 March 1920 in DeKalb County, Tennessee. She married Clyde Jennings Webb (1921-2002) on 14 June 1941 in DeKalb County. Thelma died on 22 April 2000 in DeKalb County. Alfred Prudell Webb (a female) was born on 7 January 1922 in DeKalb County, Tennessee. She married Aubrey Dean Judkins (1918-2001) on 28 February 1940 in DeKalb County. Alfred died on 23 July 1964, probably in DeKalb County. Clarence Edwin Webb was born on 13 January 1924 in DeKalb County, Tennessee. He married Fern Bryant Lefevre (1923-2009) in about 1945. Clarence died on 22 September 2007 in Chattanooga, Tennessee. Gene Morrison Webb was born on 2 March 1926 in DeKalb County, Tennessee. He served in the U.S. Army from February 1946 to April 1947 and married Rubye Judkins on 4 April 1948 in DeKalb County. Gene died on 10 October 2003 in DeKalb County. James Smith Webb was born in 1928 in DeKalb County, Tennessee. Betty Jo Webb was born on 16 May 1930 in DeKalb County, Tennessee, and married Carl Little. Betty died on 7 September 1965 in Nashville, Tennessee. Glynn Allen Webb was born on 25 March 1935 in DeKalb County, Tennessee. He married Doris Marie Puckett (1934-2012) on 25 December 1953 in DeKalb County. Glynn died on 14 December 2007 in DeKalb County. Eva L. Bain was born on 21 December 1898 in DeKalb County, Indiana. She died there on 20 March 1920. James Dewey Bain was born on 22 November 1901. On 8 June 1931 he married Mable Miller (1911-1965). James died on 6 May 1988. Clifford Anderson Bain was born on 22 November 1903. On 5 October 1924 he married Katie Myrtle James (1896-2004) and they had three children together. Clifford died on 13 March 1972 in Woodbury, Tennessee. Nadine Ogenia Bain was born on 2 February 1926 in DeKalb County, Tennessee. She married Dallas Reams Certain (1912-1980) on 27 December 1947 in DeKalb County. Nadine died on 24 July 1971 in DeKalb County. Joe Alfred Bain was born in 1932 in DeKalb County, Tennessee. He married Mary Frances Flanders (born in 1941) on 27 December 1959 in Warren County, Tennessee. Oneeta Maxine Bain was born in 1934 in DeKalb County, Tennessee. She married Robert B. Rhoady (born in 1932). Ernest Euel Bain was born on 8 January 1906. On 3 October 1936 he married Hallie Viola Jones (1911-2008) and together they had a son, Euel Wayne Bain (1938-2001). Ernest died in October 1986. Euel Wayne Bain was born on 15 September 1938 in DeKalb County, Tennessee. He married Irene Adair Bond (1942-2014) on 15 August 1959 in Warren County, Tennessee. Euel died on 8 April 2001 in Warren County. Dorothy Jean Bain was born in 1943 in Tennessee. She married Daniel Baxter Felton Jr. on 20 July 1968 in Warren County, Tennessee. Laura Belle Bain was born on 9 February 1911 in DeKalb County, Tennessee. She married a Mr. Poore and died on 3 November 2003 in Manchester, Tennessee. T.J. Bain (a male) was born on 13 June 1916 in DeKalb County, Tennessee. He married Eula M. Jones (1921-2007) on 15 October 1939 in DeKalb County. T.J. died on 1 November 1992 in McMinnville, Tennessee. Martha Jane Vanatta (“Mattie”) was born on 18 May 1877 in DeKalb County, Tennessee. She married first to Nix Wily Estes (1873-1952) on 22 February 1893 in DeKalb County. Together they had three children, listed beblow. Mattie married second in about 1919 to James Thomas “Jim” Parsley (1867-1955), who had married at least twice before and got a divorce in 1918 in Williamson County, Tennessee. In the 1920 census they are living in Williamson County with his younger children and her daughter Martha and granddaughter Frances. In the 1930 census they were truck farmers in Clark, Arkansas, with his two youngest children and living near a son from his first marriage and his family. By 1935 they moved back to Williamson County where they were living with his youngest son and his wife. Mattie died on 3 January 1947 in Cheatham County, Tennessee. Lit Estes was born in March 1894 in DeKalb County, Tennessee. He was living with his parents as of the 1900 census. Mary E. Estes was born in May 1897 in DeKalb County, Tennesee, and listed in the 1910 census as a pupil living at the Tennessee Industrial School in Nashville. Martha Jane Estes was born in July 1899 in DeKalb County, Tennesee. She is listed in the 1910 census as a pupil living at the Tennessee Industrial School in Nashville and in the 1920 living with her mother and step-father as married first to Mr. Barker. Martha died in 1960 in Tennessee. Frances L. Barker was born in about 1919 in Tennessee, probably married first before the 1940 census. She married second to John Morgan Hayes (1862-1936) on 19 June 1921 in Cheatham County, Tennessee. Mae B. Hayes was born on 13 October 1921 in Williamson County, Tennessee. She married Mr. Clay. Mae died on 26 August 2005 in Macomb County, Michigan. Cora Lee Hayes was born on 24 October 1923 in Williamson County, Tennessee. She possibly married more than once, but late in life she married to Hershel Christy (1913-2006). Cora died on 16 March 2009 in Clarksville, Tennessee. Ruby E. Hayes was born in about 1925 in Williamson County, Tennessee. Hettie I. Hayes was born in about 1929 in Williamson County, Tennessee. John Edward Hayes was born on 13 June 1931 in Tennessee and died on 27 February 2005 in Nashville, Tennessee. Leona G. Hayes was born in about 1935 in Cheatham County, Tennessee. Lillian A. Hayes was born in about 1937 in Cheatham County, Tennessee. Elijah Thomas Vanatta (“Tom”) was born on 10 April 1878. He married first to Amma Lee Young (sometimes called “Ammie”) on 2 March 1899. [Amma Young was born on 3 February 1881 to John Lawson Young (1839-1902) and Sara A. Fowler (1839-1915).] Amma died on 10 July 1939. Some years later on 16 October 1947 he remarried to Lillie Hughes. Tom died on 26 April 1962 and is buried in Taylor Providence Cemetery in Sparta, Tennessee. Huey Eston Vanatta was born on 11 April 1899in DeKalb County, Tennessee. He married Doris “Dovie” Kirby (1896-1992) on 1 June 1917. Huey died on 5 May 1944 in Chattanooga, Tennessee. 1943 in Orange County, Florida. In addition to serving as a private in the U.S. Army stationed at the Panama Canal as of the 1940 census, he also served in the Army from December 1942 to April 1946 and the Air Force from April 1949 to November 1958. Frank died on 2 September 2004 in Orlando, Florida. Myrtle C. Vanatta was born in about 1921 and living with her parents in Hamilton County, Tennessee, as of the 1940 census. Johnie M. Vanatta (a female) was born in about 1929 in Madison County, Alabama, and living with her parents in Hamilton County, Tennessee, as of the 1940 census. Erlene Evelyn Vanatta was born on 23 July 1933 in Chattanooga, Tennessee. She married Glen M. Miller and died on 19 August 1992 in Chattanooga. Bertha Mae Vanatta was born on 4 October 1902. She married on 13 July 1919 to Elbert Lee Jackson. [Elbert Jackson was born on 10 October 1902.] Elbert died on 26 April 1962 and Bertha died on 19 April 1983. Joe B. Jackson was born on the Caney Fork River in DeKalb County in 1921 to Bertha and Elbert. At the age of two his family moved to Chattanooga, Tennessee, where he graduated from Chattanooga Central High School. Following high school he joined the Third Marine Division and served throughout the pacific theater during World War II. After his military service he attended Middle Tennessee State University on an athletic scholarship playing all three major sports. He was elected president of the Associated Student Body, Who’s Who of American Colleges and Universities, and graduated with a degree in business administration. Later he graduated from the Nashville School of Law. Joe married Frances Hickerson and they owned the Home Roofing and Building Company of Murfreesboro. 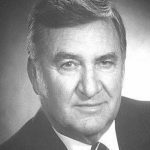 He served as president of the MTMC hospital board, president of the Exchange Club, City School Board, Water and Sewer Board, Recreation Commission, and many other city boards and commissions. He was elected to the City Council in 1968 and was chosen as Vice Mayor in 1978. Joe was named Mayor of the Year for the State of Tennessee in both 1988 and 1994. He was also past president of the Tennessee Municipal League and was elected to the board of directors for the National League of Cities in 1988, representing 1,800 member cities across the United States. He served on the Advisory Board of the National League of Cities and Tennessee Municipal League and was president of the Tennessee Municipal League Bond Board. In September 2003 the opening of Joe B. Jackson Parkway was dedicated to his memory and serves as a lasting memorial of his service to Murfreesboro and Rutherford County. Frances died in 2001 and Joe died on 22 April 2008. J.T. Jackson was born in about 1924 and lived in Murfreesboro, Tennessee. Elbert Jackson Jr. was born in about 1927 and lived in Chattanooga, Tennessee. Betty Ruth Buffington was born in about 1934 and lived in Chattanooga, Tennessee. Ernest L. Jackson was born in about 1939 and lived in Chattanooga, Tennessee. Sarah Elizabeth Vanetta was born on 25 February 1905 in Smithville, Tennessee. On 26 October 1923 she married Emitte Kirby. [Emitte Kirby was born on 19 August 1902 to John Savage Kirby Jr. and Lou Henderson (Cantrell).] Emitte died on 1 February 1966 and Sarah died on 14 January 1998 in Chattanooga, Tennessee. Both are buried in Greenwood Cemetery in Chattanooga. Juanita Elizabeth Kirby was born on 20 April 1926 in Chattanooga, Tennessee. She married Burt Dyer. Emett Eugene Kirby was born on 27 October 1928 in Chattanooga, Tennessee. He married Annette Joslyn Griffin (1931-1994) and served as a sergeant in the U.S. Marines from June 1946 to June 1949 and from September 1953 to September 1956. Emett died on 21 April 1982 in Catoosa County, Georgia. Mollissa Rode Vanatta was born on 14 July 1908 in DeKalb County, Tennessee. She married Huston Jennings Robinson (1907-2000) on 24 July 1925 in DeKalb County. Mollissa died on 13 March 1983 in Royal Oaks, Michigan. Melvin Francis Robinson was born on 12 September 1927 in DeKalb County, Tennessee. He married a woman named Joan. Melvin died on 25 November 2003 in Clawson, Michigan. Alfred D. Robinson was born on 11 December 1929 in DeKalb County, Tennessee, and died on 25 March 2004 in New Baltimore, Michigan. Hilda Robinson was born in about 1935 in DeKalb County, Tennessee. Nola Frances Vanatta was born on 1 November 1909. She married on 5 May 1929 to Clyde Slatton. Nola died on 14 May 1977. Death records show her as divorced. Nell Slatton was born in about 1931 in Tennessee. Dean Slatton (a female) was born in about 1934 in Tennessee. Bettie Jo Slatton was born in about 1938 in White County, Tennessee. Herman Dewie Vanatta was born on 26 November 1912 in DeKalb County, Tennessee. He married first to Mary Evelyn Judd (1925-1969) on 5 September 1941 in California and they had one son, Richard. He married second to Mary Dean Nall (1921-2009) in about 1944 and they had two children, Thomas and Deanna. Herman died on 25 January 1949 in Los Angeles California. Richard Dewie Vanatta was born on 5 December 1942 and died on 9 June 1943 in Los Angeles, California. Thomas Dean Vanatta was born on 28 November 1945 in Los Angeles, California. He served in the U.S. Army. Thomas died on 9 May 1997 in Los Angeles. Deanna Lee Vanatta was born in 1946 in Los Angeles, California. She married Robert R. Sherrard (born in 1943) on 11 May 1968 in Los Angeles. Lillie Thomas Vanatta was born on 24 June 1916 in DeKalb County, Tennessee. She married Henry James Dobbs (1909-1972) on 22 November 1931 in DeKalb County. They lived in his home area of White County, Tennessee, for a few years, then by the 1940 census moved to Castro County, Texas. He died in Hereford, Texas, and is buried in West Park cemetery. Lillie died in 2002 and is buried in Oaklawn Memorial Cemetery in Whte County with a marker that includes Henry. James L. Dobbs was born on 20 April 1933 in Sparta, Tennessee. James drove a school bus while still in High School. He married first to Nora Jo McLallen (1933-1957) on 31 August 1954 in Deaf Smith County, Texas. He married second to Doris Jay (born in 1938) on 27 June 1959 in Potter County, Texas. James was a charter member of Easter Lions Club, where he served as president. He also served on the High Plains Eye Bank Board of Directors, where he also served as president. James was a very active member of Summerfield Baptist Church, where he served as Deacon. He was a Castro County Constable for twenty-two years. He was a farmer, and worked for Rocky Lee in fertilizer. James died on 20 October 2014 in Amarillo, Texas. Thomas Clark Dobbs was born on 18 September 1935 in Sparta, Tennessee, and died on 2 July 1994 in Independence, Missouri. Larry Allen Dobbs was born on 3 February 1942 in Deaf Smith County, Texas. He married Ruth M. Wagner (1943-living) on 24 August 1962 in Deaf Smith County. Larry died on 23 June 2003 in Pittsburg, Kansas. Erbie Clark Vanatta was born on 1 November 1918 in DeKalb County, Tennessee. He enlisted in the U.S. Army at Ft. Oglethorpe in Georgia to work in the medical department on 6 January 1941. Just eleven days later on 17 January 1941 he came home and killed himself with a shotgun in White County, Tennessee. 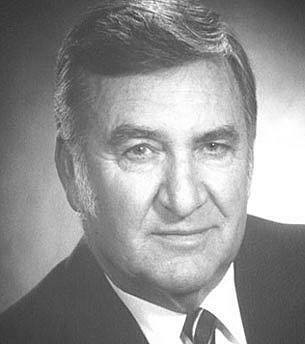 Willie Lee Vanatta was born on 6 July 1921. Willie served in the Army during World War II and enlisted on 31 December 1942 at Camp Forrest in Tennessee and was released on 28 January 1946. In 1948 he married Betty Mae Weems (1932-2005) and together they had six children, including two listed below. Willie died on 6 April 1994. Betty Dean Vanatta was born on 25 August 1951 in Tennessee. She married first to Carol Story (1942-1984) and second to John Willie during 1974 in Macomb County, Michigan. Betty died on 15 June 2009 in Michigan. Tommy Clark Vanatta was born on 9 November 1954 in Greene County, Tennessee. He married first to Cynthia Ann Swick on 1 December 1979 in White County, Tennesse, and second to Theresa M. Poland on 22 June 1993. Tommy died on 13 September 2012 in Osceola County, Michigan. Mildred Vanatta was born in about 1923 and married James Kirkpatrick on 9 November 1940 in DeKalb County, Tennessee. Ella Mae Vanatta was born on 18 September 1926 in DeKalb County, Tennessee, as the youngest of eleven children. She married in about 1948 to Edgar Mansfield Bain (1919-2014), a World War II veteran, and together they had a son. Ella retired after more than thirty years of service to the Doyle Shirt Factory and was a long time member of Spring Hill Baptist Church of Christ. Ella died on 30 September 2013. Edgar Steve Bain was born in 1949, married, and had a son, Edgar Lamar Bain (married to Susan “Baby” R. Connelly), who in turn had a son named Trevor Bain. John Anderson Vanatta was born in April 1880 in DeKalb County, Tennessee. On 7 July 1901 he married Olivia Dutton (c. 1887 – 1914). Together they had five children. John died in about 1915, possibly in Madison County, Alabama. Lillie Mae Vanatta was born in about 1902 in DeKalb County, Tennessee, and living with her parents as of the 1910 census. Laura Lee Vanatta was born on 13 November 1904 in DeKalb County, Tennessee. She married Alford Leigh Powell (1902-1975) in about 1922, probably in Davidson County, Tennessee. Laura died in November 1994 in Clover, South Carolina. Alford Leigh Powell Jr. was born on 15 November 1923 in Nashville, Tennessee. He served in the U.S. Army Air Corps from June 1942 to March 1944 and in the U.S. Navy beginning March 1948. Alford died on 23 September 2000 in Franklin, Tennessee. Betty Louise Powell was born on 21 December 1925 in Nashville, Tennessee. She married George Sanders Appleton (1927-2003). Betty died on 7 October 2008 in Cary, North Carolina. James Littleton Vanatta was born on 10 November 1905 in DeKalb County, Tennessee. In the 1910 census he is living with his parents. In the 1920 census he is living in Davidson County, Tennssee, with an elderly couple and their daughter listed as an orphan born in Alabama. In the 1930 census he is enlisted in the U.S. Army living in barracks in Chattahoochee County, Georgia, with a birth state of Alabama. In December 1945 there is an Army enlistment record for him with a birth state of Alabama and a designation as married where he is an infantry sergeant signing up for the Hawaiian department. And there is a U.S. Department of Veterans document showing Army service from August 1952 to July 1956. James died on 16 September 1975 in Columbus, Georgia. Sara Della Vanatta was born on 25 January 1908 in DeKalb County, Tennessee. She married first to Percy Harvell Patterson (1903-1982) on 25 December 1923. She married second to William L. Roberson in about 1935. Sara died on 23 February 1957 in Nashville, Tennessee. Johnny J. Vanatta was born on 5 October 1912 in DeKalb County, Tennessee. He was adopted at a young age by an older DeKalb County, Tennessee, couple: Amos Hendrixson (1871-1927) and his wife Zonie Davis Hendrixson (1871-1936). Johnny’s last name changed to theirs. Johnny married Annie Melinda Walls (1917-2002) on 29 January 1936 in DeKalb County. They probably separated or divorced in about 1953 because he is listed as living in Nashville while Annie’s obituary mentions her long-time work in the cafeteria of DeKalb High School. Johnny died in September 1993 in Nashville, Tennessee. Sarah Frances Hendrixson was born in about 1939 in DeKalb County, Tennessee. She married David Wright. Jo Ann Hendrixson was born in 1944 in DeKalb County, Tennessee. She married Bryan Wallace Nealy (born in 1941) on 8 July 1960 in Cannon County, Tennessee. Judy Gail Hendrixson was born in 1950 in DeKalb County, Tennessee. She married Jerry Wayne Vanatta (a distant cousin) (1944-2004) on 1 July 1969 in DeKalb County. Jimmy Harold Hendrixson was born on 17 May 1951 in DeKalb County, Tennessee. He married Linda Frances Vanatta (probably a distant cousin) (born in 1953) on 20 June 1969 in DeKalb County. Jimmy died on 18 August 1999 in DeKalb County. Johnnie Hendrixson (a female) married James Barnes. Joseph Ben Vanatta (“Joe”) was born on 28 March 1883 in DeKalb County, Tennessee. There was some disagreement between him and his siblings resulting in him leaving Smithville, Tennessee, for neighboring Williamson County. Joe did not see his siblings for another forty years. He married Jessie Mai “Mollie” Jones (1890-1977) on 9 April 1905 in Williamson County, Tennessee. Joe died on 1 April 1956 and Molly died on 12 February 1977. Jessie Sterling Vanatta was born on 2 April 1906 in Williamson County, Tennessee. She married William Robert “Willie” Hoffman (1903-1983) on 16 June 1923 in Cheatham County, Tennessee. In the 1930 census he is a prisoner in the Federal Penitentiary in Fulton County, Georgia, while she is living with her parents in Williamson County with their oldest two children and about to give birth to their third. Since their fourth child was born in about 1933, his prison stay was probably short. Jessie died on 8 October 1987 in Contra Costa County, California. Beatrice Hoffman was born in about 1926 in Tennessee. William E. Hoffman was born in about 1927 in Tennessee. Howard Hoffman was born 1930 in Williamson County, Tennessee. Nada Ann Hoffman was born in about 1933 in Tennessee. Barbara J. Hoffman was born in about 1935 in Nashville, Davidson County, Tennessee. Charlie Ben Vanatta was born on 27 September 1907 in Williamson County, Tennssee. He married first to Omie M. Hayes on 17 January 1930 in Williamson County, Tennessee. They divorced in about 1934 and their two children stayed with their father. Charlie married second to Margaret Louise Henderson (1909-1984) on 21 November 1936 in Williamson County. Charlie died on 6 March 1972 in El Paso County, Texas. Louise M. Vanatta was born in about 1931 in Tennessee. Dave M. Vanatta was born in about 1933 in Tennessee. Billie Charles Vanatta was born on 24 April 1937 and died on 6 January 1947 in Nashville, Tennessee. Charlie Ben Vanatta Jr. was born on 21 August 1939 in Nashville, Tennessee. He served in the Navy and received the Navy Achievement Medal, Navy Unit Citation, Navy Meritorious Service Medal, and Armed Forces Reserve Medal. He married Bettie Joan Kinlaw. As a lifelong educator, he served as a teacher, principal, and assistant superintendent with Port Arthur ISD, Texas Director of Elementary Education for SACS, and consultant for SACS/AdvanceEd. As a man of God, he served as a Deacon, Chairman of the Deacons, Trustee, and Director of the Daycare Committee at Trinity Baptist Church, in Port Arthur, Texas. He also served as a Sunday School teacher at Trinity Baptist Church, Friendship Baptist Church in Cleveland, Georgia, and First Baptist Church in Cleveland, Georgia. Charlie spent his entire life serving his community. Throughout his many years in Port Arthur, he served as President of the North Port Arthur Lions Club, State Board Member to the Texas Staff Development Association, President of the South County Mental Health Association, and Honorary Life Member of the Texas Parent Teacher Association. Charlie died on 21 February 2015 in Jefferson County, Texas. Bonnie Vanatta was born after the 1940 census. Annie Mae Vanatta was born on 23 October 1909 in Dickson County, Tennessee. She married first to Will Mosley on 4 May 1929 in Williamson County, Tennessee, but living with her parents and daughter as of the 1930 census. She and Will had one child. Annie married second to Zelma “Zeak” Weakley (1905-1946) on 9 February 1935 in Williamson County. Annie Mae married third to Noble Haskell Anderson (1906-1957) on 20 January 1957 in Robertson County, Tennessee, but he died on 28 May 1957. Annie Mae married fourth to Willie Lee Webb (1900-1984) on 1 March 1958 in Cannon County, Tennessee. Annie died on 8 August 1987 in Nashville, Tennessee, and is buried with her first husband Will. Pauline Elizabeth Mosley was born on 15 March 1930 in Williamson County, Tennesse. She married Allen Robert Bolden (1927-1982). Pauline died on 7 February 1995 in Nashville, Tennessee. Edward Lewis Weakley was born on 5 September 1935 in Williamson County, Tennessee. Edward died on 13 December 1990 in Nashville, Tennessee. Joe Vanatta Weakley was born on 18 January 1937 in Williamson County, Tennessee, and died on 11 September 1988 in Nashville, Tennessee. Betty C. Weakley was born in about 1937 in Williamson County, Tennessee. She married R. Donald Hale on 27 August 1955 in Robertson County, Tennessee. William Robert Weakley was born on 6 April 1940 in Williamson County, Tennessee. He served as a corporal in Vietnam for the U.S. Army from October 1963 to July 1966. William died on 6 December 2007 in Nashville, Tennessee. Nathan Tommy Vanatta was born on 25 February 1914 in Tennessee. He married Ada Louise Anderson (1921-1997) in about 1937. Nathan died on 23 April 1989 in Nashville, Tennessee. James Junior Vanatta was born on 3 August 1938 in Tennessee and died on 10 September 1980 in Davidson County, Tennessee. Ellen Odelene Vanatta was born on 11 May 1941 in Williamson County, Tennssee. She married first to Everette Leon Keen (1930-1979) on 2 February 1956 in Nashville, Tennessee. She married second to Cecil L. Jordan (1936-2003) on 7 September 1994 in Dallas County, Texas. Ellen died on 7 July 2003 in Nashville. Thelma Louise Vanatta was born on 31 May 1943 in Williamson County, Tennessee. She married first to Doye Wendell Peak (1941-1997) on 6 March 1970 in Robertson County, Tennessee. She married second to Cecil Wayne Bibee (born in 1934) on 24 July 1980 in Robertson County. She had two daughters, Donna (Clem) Hizer and Cheryl Browning. Thelma died on 19 June 2014 in Nashville, Tennessee. Jerry Nathan Vanatta was born on 11 February 1945 in Tennessee. He married first to Jessie Huskins on 16 November 1963 in Sumner County, Tennessee. He married second to a woman named Belinda. His passions were building and flying airplanes, riding his Goldwing around the Country with his wife, and building and drag racing his 1972 Maverick. Jerry died on 17 April 2012. Patricia A. Vanatta was born on 28 October 1946 in Davidson County, Tennessee. She married John Daniel Carter (born in 1946) on 10 August 1965 in Cheatham County, Tennessee. Patricia died on 11 April 2001 in Davidson County. Lela Vanatta was born on 24 November 1918 in Tennessee. She married Wallace Tipton Carter (1918-1993) on 31 December 1935 in Williamson County, Tennessee. Lela died on 14 July 1995 in Nashville, Tennessee. James Clifford Carter was born on 2 January 1937 in Williamson County, Tennessee, and died on 22 November 2000 in Maury County, Tennessee. Glendle Lee “Bobby” Carter was born on 3 September 1938 in Williamson County, Tennessee, and died on 13 June 1962 in Davidson County, Tennessee. Geraldine Carter was born on 25 October 1939 in Williamson County, Tennessee. She married James Alpha Weatherford Jr. (1926-1996) on 11 January 1967 in Robertson County, Tennessee. Geraldine died on 28 November 2011. Howard Billy Carter was born on 13 July 1941 and died 23 December 1941 in Williamson County, Tennessee. Issac Arnold Carter was born on 19 July 1944 in Williamson County, Tennesse, and died on 25 October 2006 in Davidson County, Tennessee. Allen Wayne Carter was born on 10 March 19Williamson County, Tennessee, and died on 4 January 1992 in Maury County, Tennessee. Don Vestin Carter was born on 27 August 1951 in Williamson County, Tennessee, and died 6 April 2007 in Maury County, Tennessee. Elmer Lee Vanatta was born on 12 May 1923 in Williamson County, Tennesse. He served in the U.S. Army in World War II from February 1943 to September 1948. Elmer died on 17 March 1979 in Williamson County. Percy Edgar Vanatta was born on 19 January 1925 in Williamson County, Tennessee. He married Marlene Eloise Starks (1932-2000) in about 1950. Percy died on 21 February 1957 in service as a U.S. Army sergeant first class, probably in Korea. Leodies Vanatta was born on 13 September 1928 in Williamson County, Tennessee. Leodies died on 9 October 1939 in Nashville, Tennessee. Ethel Vanatta was born on 8 June 1932 in Williamson County, Tennessee. She married Arthur Elmo Hopper (1916-2004) on 18 August 1962. Ethel died on 5 March 2011 in Old Hickory, Davidson County, Tennessee.